Situated in the heart of Toronto’s Riverside, Dimensions Custom Framing & Gallery has become one of the cities most reputable places for custom framing (BlogTO) and a celebrated showcase for artwork from all genres. This fresh, expansive gallery is the collaborative product of Ellen Davidson and Wendy Palmer, in business together for over fifteen years. Visit us to discover some of North America’s finest contemporary artists, bring us your cherished pieces, or have us come to your home or workplace for a discussion on framing design. Creative director Ellen Davidson offers expertise in contemporary art, a flair for popular culture, and a strong, intuitive style. After a successful career in the banking industry, she co-founded Dimensions with business partner Wendy Palmer, with whom she has worked successfully for the last fifteen years. Her passion, dedication, and warm spirit are a huge part of the gallery’s welcoming atmosphere. For twenty years, Wendy Palmer has mastered her framing skills at some of the cities finest galleries, and is entrusted by established artists, private, and corporate clients. She is extraordinary in her field, bringing precision craftsmanship, and a deep personal commitment to each project. Wendy’s incredible sense of design and meticulous approach made her one of Toronto’s top ‘go-to’ framers. Dimensions Custom Framing & Gallery is located in Toronto's historic Riverside district showcasing art from emerging and established artists. Photographers, sculptors and artists from all mediums are welcome to contact us to find out more about exhibiting. Our gallery is available for rent for private or corporate functions such as weddings, receptions, concerts, lectures, luncheons, presentations, book readings and conferences. Please contact the gallery directly for further information. 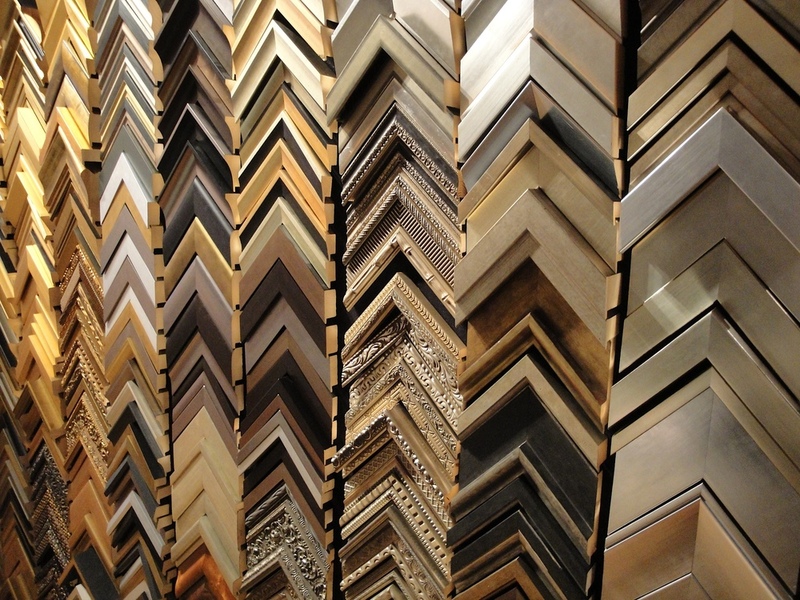 We offer quality framing selections and beautiful designs to ensure the highest level of excellence for all of your framing needs. No matter how big or small your project may be, we will provide you with solutions to meet your vision for showcasing your artwork. We carry mouldings by Roma Moulding, Fotiou Frames & Larson-Juhl. Custom Framing For Fine Art, Photographs and Prints, Custom Mat Cuts, Plaquing, Dry Mounting, Custom Glass/Mirror Cuts, Canvas Stretching, Shadowbox Display Cases. Please click here for more detailed information regarding our products & services. Please call us 416.463.7263 for information on gift certificates.